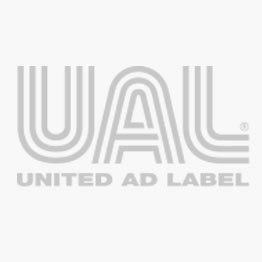 United Ad Label continually adds new products to meet the ever-changing demands of the markets we serve. Keep checking back as we add new items throughout the year. 2019 X-Ray Date Label, 1-1/2" x 1/2"
Anesthesia Label, CEFOXITIN mg/mL Date Time Initial, 1-1/2" x 1/2"
Anesthesia Label, dexmedeTOMidine 4 mcg/mL Date Time Initial, 1-1/2" x 1/2"
Anesthesia Label, EPInephrine 10 mcg/mL Date Time Initial, 1-1/2" x 1/2"
Anesthesia Label, EPInephrine 100 mcg/mL, 1-1/2" x 1/2"
Anesthesia Label, fentaNYL mcg/mL, 2" x 3/4"
Anesthesia Label, NEOSTIGMINE 0.5 mg/mL Date Time Initial, 1-1/2" x 1/2"
Anesthesia Label, ROPIVACAINE 0.2% Date Time Initial, 1-1/2" x 1/2"
Anesthesia Tape, CEFOXITIN mg/mL DTI 1-1/2" x 1/2"